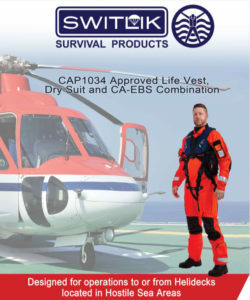 NEDAERO is Authorized Dealer of SWITLIK – manufacturer of the highest quality sewn and heat sealed inflatable safety and survival products for the civil and military aviation industry: life saving equipment. Crew vests and passenger life preservers, come in various models. For the crew we have: X-Back MOLLE, X-Back MOLLE+ and X-Back Basic. For passengers we have: Aviator and ALL-PAX. Next to that we have the Flotation Collar, the perfect way to add FAA-approved flotation to your over-water lifting operations. The U-Zip-It™ is a breathable, fire resistant dry suit which provides ultimate comfort and mobility for aviators, along with the highest level of cold water immersion protection. The low slung zipper makes donning easier than standard designs and the articulating elbow and knee patches significantly improves movement – in and out of the aircraft. ETSO Pilot and Passenger Suit. 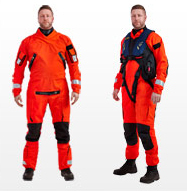 Built for your comfort and based on the same design the US Coast Guard Helicopter Crews wear, U-Zip-ItTM suit, the ETSO Pilot and Passenger Suits are ETSO 2C503 compliant and will be the dry suit you can wear all day. The unique U-Zip-It™ low slung entry zipper design provides ease of donning, unassisted zipper closure, enhanced comfort, and freedom of movement. In dry-suits, the zipper placement dictates comfort. The design of the U-ZIP-IT™ dry-suit was based around allowing the user to make any necessary movement with zero interference with the zipper, creating the most comfortable dry-suit. NEDAERO can also deliver Armadillo Merino Undergarments: Boxer Briefs, 3 Season boot socks, short sleeve elite shirts, long sleeve custom heavy weight shirts, long sleeve mock turtleneck shirts, Long John custom heavy weight pants. Available in different sizes. Single and double cell airline life vests.The infant life vest (for general aviation and commercial airlines) ILV-20 is a dual chamber, 23-pound buoyancy Infant Life Vest, (FAA/TSO-CI3d defines “infant” as a wearer with a weight less than 35 pounds). * The underarm configuration allows this vest to be used by wearers whose shorter necks prevent use of the standard “yoke-type” vest. 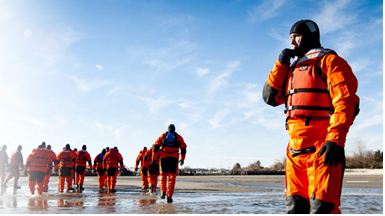 CPR: A professional grade life raft is availble for general aviation. 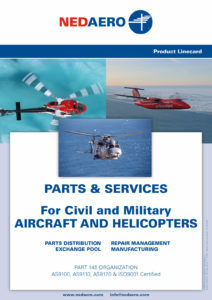 Catering to both the fixed and rotary wing aircraft, the CPR is TSO-C70a Type II approved. All the safety of twin tubes in a Single Tube Raft. OPR: A high quality, lightweight, offshore life raft, with a convertible canopy system, heat sealed construction. The OPR provides 1,350 lbs. of inflated buoyancy and 24 sq. ft. of floor area and offers excellent ventilation as well as total protection from the elements. The Switlik Inflatable Single Place Life Raft (ISPLR) brings advanced military design and mission-proven durability to a single place life raft available for mariners and pilots who are serious about their personal lifesaving equipment. The TechFloat is a throwable, inflatable rescue device for all-season water and ice rescue that has incorporated lifting capability.The TechFloat is worn with an over-the-shoulder strap, which connects the rescuer directly to the victim and leaves both hands free. The inflatable is removed from its valise, and easily thrown to the victim. The unit comes with 100 feet of highly durable floating line and has water-activated inflation. The inflatable marine rescue platform is the rescue tool for getting multiple people to safety, quickly deployed and easy to board. Man Overboard Modules: The Crew Overboard Rescue Device or CORD, is designed for man overboard emergencies for both leisure marine boaters and first responders. The MOM 8 gives you time to return to the victim in a safe and prepared manner. The Underarm Flotation Device will keep the victim afloat, while the pylon fitted with reflective tape and an LED light provides excellent visibility. The MOM 8-S, is designed to provide the market with a lighter, smaller version of the current MOM 8-A. The unit consists of Switlik’s new Underarm Flotation Device (UFD), Inflatable Pylon and Sea Anchor. The MRP-10 is Switlik’s mass casualty emergency response Rescue Platform. It was purpose-designed for response to in-water airport crashes, in instances when the aircraft has fallen short of the runway into a body of water. The MRP-10 Rescue Platform is designed to provide flotation to 10+ people while they await imminent rescue. It’s currently being used at many International Airports across the US, and is gathering interest abroad as well. The LPU-21 E/P is a high-buoyancy, twin-chamber constant wear life preserver worn by military aviators flying helicopter and fixed wing aircraft. Its manually activated inflation system makes its ideal for non-ejection seat applications. The LPU-23 D/P is a high buoyancy, twin chamber constant wear life preserver worn by military aviators. It is inflated with two automatic FLU-8 water activated inflation valves making it ideal for high performance, ejection seat aircraft. The LPU-32/P is a Twin-chamber yoke style inflatable life preserver for passenger and troop use in helicopter or fixed wing aircraft. It is a low profile one-size fits all design which includes a survival pouch. The LPU-9/P is a crew member life preserver used in ejection seat aircraft. 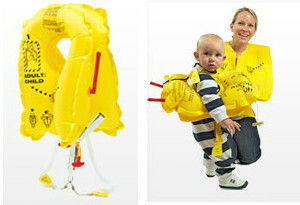 It is a yoke-style life preserver with a three-layer cell design, providing twin flotation compartments for buoyancy redundancy. 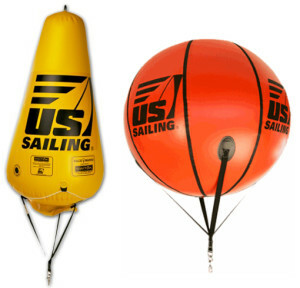 High quality automatic life preserver inflators for use in ejection seat aircraft and shipboard flight deck operations. They are also the automatic life preserver inflators of choice for militaries around the world. The Stratus Systems inflators have the distinction of being the only automatic FLU inflators which are classified as non-hazardous material for transport and storage. The POD-8 life raft is constructed of an extra-large diameter tube providing over 200 pounds of buoyancy per person with inner sleeves providing complete redundancy in the event of a puncture. Most single tube life rafts have two separate air chambers with internal airtight bulkheads, where a puncture or leak in either chamber will result in the loss of half the raft’s floor area. The SWITLIK POD-8 has two separate chambers using internal sleeves that perform like the inner tube of a car tire that can be manually inflated if a puncture occurs, in order to retain the buoyancy of the tube. Anti-Exposure socks are intended to be worn in conjunction with Anti-Exposure Coveralls and are proven to protect against hypothermia and exposure to cold water, wind, spray and rain. 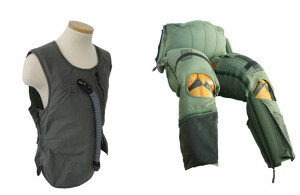 The CSU-17/P is an upper-body anti-gravity vest for high-performance tactical jet aircraft (F-15, F-16, F-22 Raptor). Originally designed as part of the USAF COMBAT EDGE system. The CSU-13B/P is an Anti-G suit worn by fighter aircraft pilots to counteract positive head to foot G forces. It is a wraparound garment with an internal inflatable bladder which compresses the waist and legs of the wearer during G induced flying maneuvers. The Switlik Race Mark round ball design has been proven to provide the best visibility to racers in all conditions. The smooth surface of the ball provides unparalleled towing ability at speeds no other race mark can handle. Available in popular committee colors, yellow and orange, the Switlik Race Balls are appreciated by sailors and recommended by PRO’s. The Switlik 60″ Starting Pin makes setting a starting line simple and easy. Its three point bridle and uniquely engineered ballast system is guaranteed to keep your starting pin upright and visible start after start. With all sides featuring the Switlik easy to grab handles, race committees know it’s a breeze to move when the conditions shift.